Products that eliminate or reduce the amount of tension and pulling a dog puts on his leash has been a hot topic for many trainers and in high demand for pet owners. The ability of being able to walk your dog without that feeling of your arm being pulled out of the socket would be a miracle all on its own. An incredibly wide variety of these products exist on the market from head halters like you would expect a horse to wear to painful prong or shock collars for correction when a dog does pull. Not all items work for every dog, but some simply don’t work at all. At least not without the aid of training. 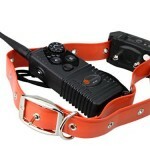 Ideally, each one of these would only be used as a tool to train your dog in loose leash walking, but what about those times in which your dog simply needs exercise and you need to maintain control. The Easy Walk harness by PetSafe just may be the answer. This harness gets 4/5 stars from over 1,500 people, you can see them here. Constructed of soft nylon webbing and held together with sturdy metal connectors, you don’t have to worry about the Easy Walk falling apart on you as you may with some other lesser no-pull harnesses out there. The idea behind this contraption is that the leash will clip to the front of the dog’s chest, instead of on his back. A ring just for leash attachment sits low on the dog’s chest below his neck. Simply speaking, when a dog tries to pull he is redirected to face you, making pulling forward impossible. While this puts no pressure on his neck, it does put pressure on his girth. The way the harness fits, with a girth strap going directly behind the forelegs, pressure is put under the harms if he pulls hard enough. For some dogs, this causes chaffing, rashes, and can cut into the skin if fitted too tightly or if he attempted to pull too hard. 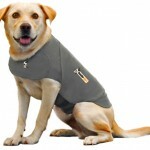 There is a solution to this, though, as you can easily find girth strap covers online or even in some pet stores that cover the webbing in this area with fleece material, making it must softer and safer. Because this puts not pressure on the head or neck the way a collar or head halter would, this harness is safe for even the smallest of dogs. Even tiny Yorkies and itty bitty Poodles will pull to their heart’s content on a normal collar causing throat damage, and this harness can stop that, making walks safe once again. The most important question that is always asked of no-pull devices is, “Does it work?” In short, yes. 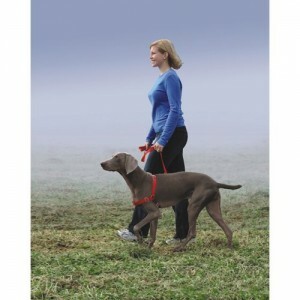 The Easy Walk harness does do what it is marketed to do. It ends the rough pulling of the large majority of dogs and gives owners a type of power steering, or added control over their dog’s movements while out and about. When the dog tries to pull, he is turned automatically by the front clipped leash to face you, making it impossible for him to pull forward. Whether or not it will work for you and your dog depends on what you expect out of walking with your dog. If you just want him to stop pulling during a walk, go for it! If you expect immediate loose leash manners then you need to add some training to his schedule. 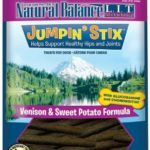 Many trainers actually recommend this specific product for a dog who is not trained so that he can continue getting exercise in between training sessions. In other words, use this on your regular walks and train with a normal harness or flat collar and leash. «Off Leash Fun, or Danger? Have teird 2 harnessess due to escapes now I am using krazy glue to make sure no slippage – didn’t think I’d have to do that but with krazy glue feel more secure – tried sense-ation sense-ible harness and had same slippage problem. So far krazy glue has stopped the slippage = me more secure. Anyone else have to resort to this? So now we go for walks, leash on one collar and another leash on harness. Got a jumpy little min pin and trying to deal.